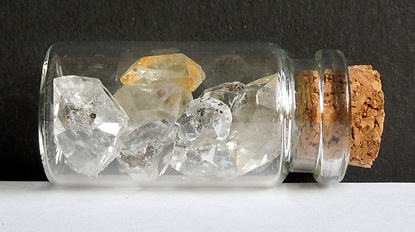 Crystals are photographed below in two groups. 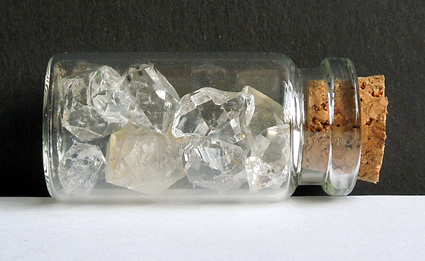 It's a fun and eclectic group of Herkimer Diamonds. 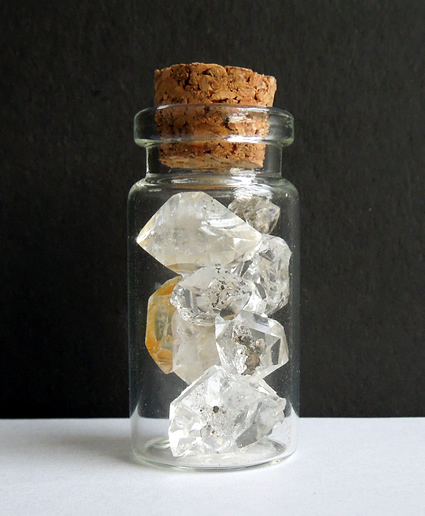 The glass bottle holds nine Herkimer Diamonds total. Photographed in two groups, 5 smallest and 4 larger.